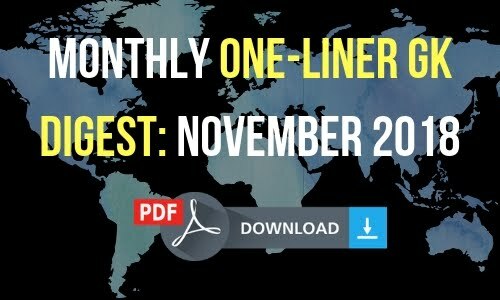 We are releasing the monthly One-Liner GK Digest Capsule for November 2018. The PDF file covers important topics like banking, awards and honours, appointments, MoUs and Agreements, Index and Ranking, News-India, Indian States and World. This will help you to have a quick review of Current Affairs for the month of November.